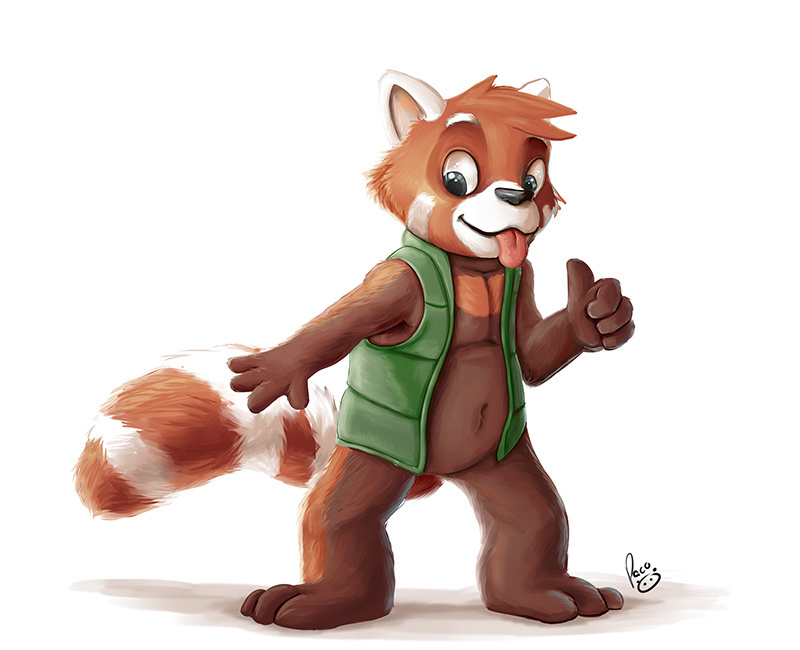 I like red pandas a lot, and this is the first one who I met, and his character is sooo cute, and also I love his way of painting, that's why I request him a trade. rendering? That's sounds as 3D, hehe XP thank you!